Extreme Selfie, Right!? 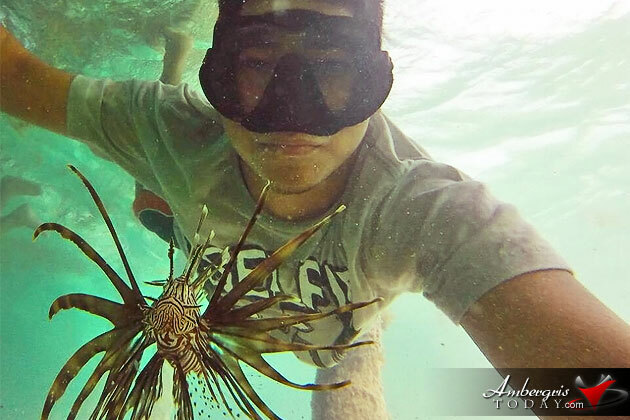 We surely think that taking a selfie with a very poisonous Lion Fish just inches from your face and body is extreme. It's a normal day at work for local tour guide Gilberto Alamilla Jr., of Belize Pro Dive Center. He loves the water and taking pictures when he goes skin diving and even scuba diving. He has plenty of pictures with sharks, sea turtles, stingrays and manatees.